I am sure all SEOs would agree that the year 2010 started with a lot of apprehension, anticipation, discussions , doubts and predictions regarding the changing scenario of search as a result of Google implementing caffeine the new indexing architecture from all their data centres. Matt cutts announced in December 2009 that caffeine would start rolling after the holidays i.e from Jan. 2010 . We all waited with our fingers crossed hoping that it does not affect our sites adversely but till the end of the first quarter of 2010 the change was not at all noticeable apart from the Google SERP display being changed by adding more options like news,videos, blogs, updates for Real Time Search, maps on the LHS of the SERP along with more search tools added. Google caffeine is being implemented but at various levels and gradually. Caffeine is more about making the indexing architecture of Google more robust . As SEO professionals and companies we have to see that the rankings of our websites improve or are maintained. 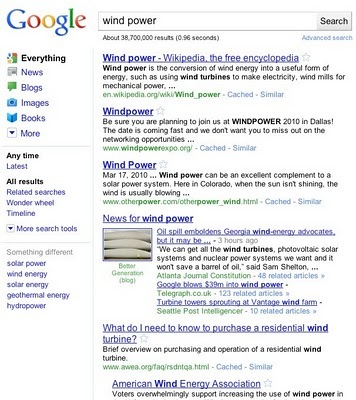 But in 2010 as we all know that search is not only about rankings it is much more. If we want to ensure the visibility of our website on the complete search engine landscape then optimizing the site for local search and having a listing on the Google maps, having a presence on the image search, News, Blogosphere presence and having our tweets being listed in the most recent development the updates is all very important. Having a presence on all these platforms of search shall surely aim at more targeted traffic reaching your website. Apart from a wider presence the downloading speed is a major factor for the websites to be preferred by the search engines. To know more about the speed factor for the websites view the following video. The real scenario of search and how our websites have responded to the change will be unveiled only when all data centers of Google shall be updated . That should be sometime in mid 2010 latest by August 2010 ( My assumption) as the last Major Google update which was in 2005 was truly reflected by August 2005.